We shelled peas on Saturday night. Then I blanched them for two minutes before putting away in nine freezer bags. I love those peas on a cold winter night. 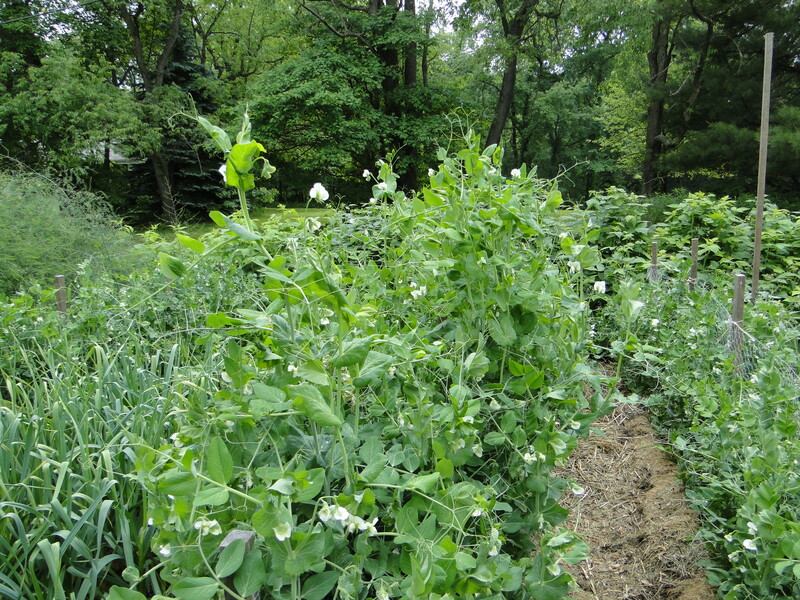 We’re not halfway through the pea season. Last year, our peas didn’t produce very well. My husband believes he put mushroom manure to close to the seedlings and they were overwhelmed with fertilizer. He didn’t do it this year, and we have a fantastic crop. Tonight we picked our very first zucchini. We have to watch those plants because when they hide, we end up with bats. I’m going to grill these small beautiful wonders. The spinach is done for the year. I managed to freeze twenty-one bags. I’m going to steam the last of the leaves tonight and make Greek pizza. The recipe is included in From Seed to Table, but here it is just for you. Saute the onion, garlic and basil in olive oil. Prepare the phyllo dough, following the instructions on the box. Layer half the sheets of dough on a cookie sheet, spraying each layer with oil. Layer the ingredients: saute mix, spinach, feta and cottage cheeses (mixed together), and top with mozzarella cheese. Layer the remaining sheets of dough on top, spraying each layer. Brush the top sheets with melted butter. Bake at 350 for 20-30 minutes, depending on your oven. The dough should be a golden color. I hope your garden is producing. If you’re not gardening, I hope you’re able to enjoy some of summer’s bounty from your region. I bought five or six quarts of local strawberries and froze three gallon-sized freezer bags full. I’ve eaten my fair share. I can’t wait for blueberries. We do have raspberries but they seem to be slow to ripen. We bought some very think Remay to cover the tops so birds can’t eat those luscious beauties before us. I look forward to hearing what’s happening in your local food department. Tortoise Stew is my first novel set in Florida. On June 19 and 20, it’s available for free downloads on Amazon. The spinach is almost done before it started this year. We had such a short window of opportunity for spring that the spinach bolted very quickly. I’ve already frozen nine bags and we’ve eaten several meals from this year’s crop. We probably have another ten to twelve bags to freeze. I told a friend I froze spinach, and she wondered what I did with frozen spinach. We eat it! We heat briefly in the microwave and serve as a side dish. We use it in recipes such as Greek pizza and lasagne – both recipes are included in my new book From Seed to Table. I outlined the steps in From Seed to Table for freezing spinach starting with blanching it first. If you’d like to have the rest of the book on your Kindle, I’m offering the book for free on June 13 and 14. The regular price is $2.99. Here’s an excerpt on preparing spinach to freeze. Note: the blanching steps may be followed for most vegetables with variation in the time the vegetable is in the boiling water. The recipe below preserves as much of the vitamins and taste as possible. Our frozen spinach is green and tastes “almost” like we’d just picked it. Wash the leaves – Put the leaves in a sink of cold water and carefully wash off all dirt and grass. Put in colander to drain. Chop the leaves – I didn’t do this last year, and I was sorry. While the spinach tasted great, it was a bit stringy. I chopped them into about 1-inch squares. 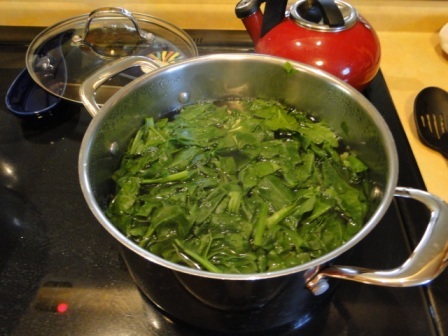 Blanch – Bring a big pot of water to boil and place one colander full of leaves into the water for two minutes. Ice water bath – Submerge in ice water for another two minutes. Place in colander in a large bowl or pot and let drain for a few minutes. Put into freezer bag that is labeled and dated. One colander full equals two servings and fits perfectly into a freezer sandwich bag. It’s fine if some water is in the bag – it’s probably better for the spinach. 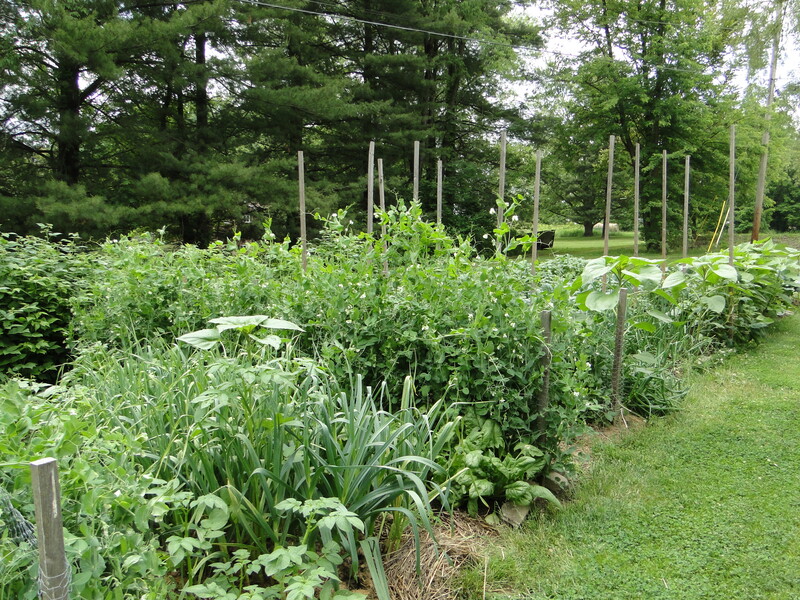 We may have started the garden late this year, but somehow the cold April mixed with a few hot days and then spurts of rain in May created a monster garden in June. A friend visited in the last days of May, and we’d sit on the balcony overlooking the garden and could swear we saw the peas grow right before us. Raspberries are growing and flowering, too. 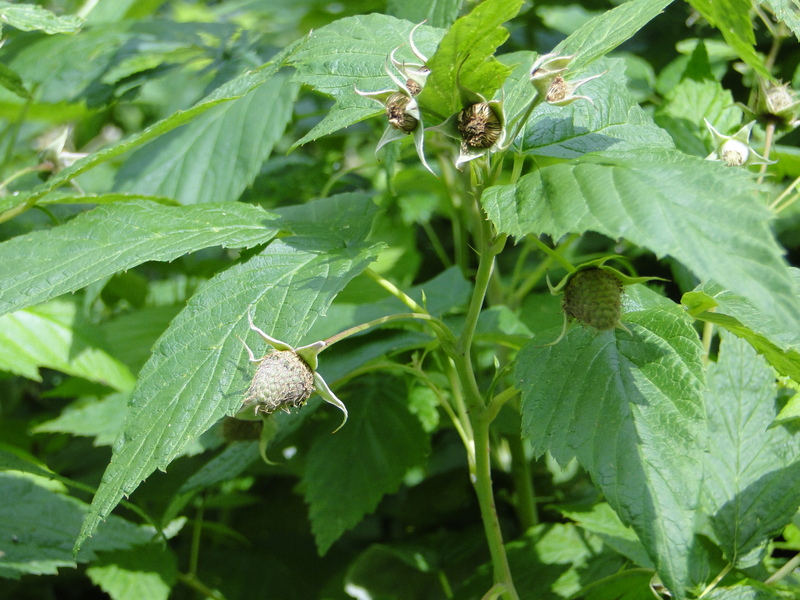 Even the late-term raspberry plants have flowers on them. Soon I’ll be hunting down jam and jelly recipes. 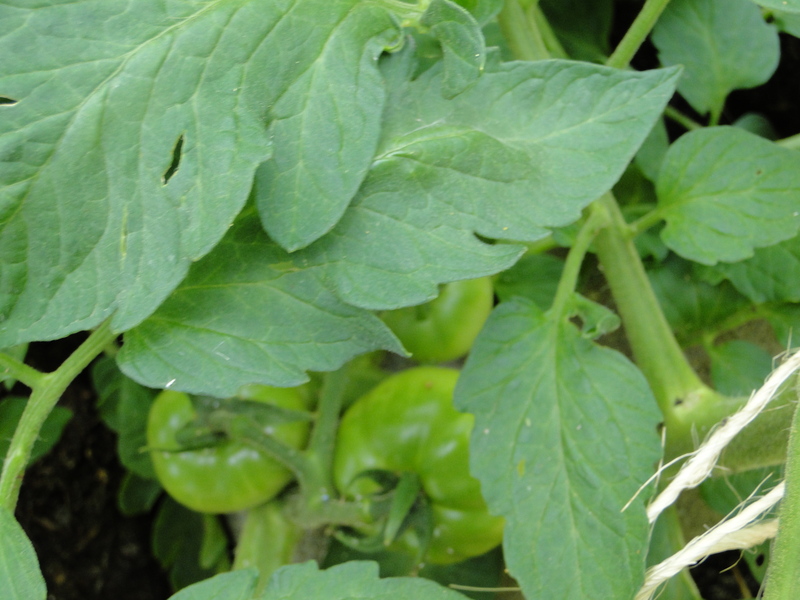 And the best news of all – I spied these tomatoes growing in peace under the broad green leaves of the plant. We didn’t do anything differently, but somehow the weather – as unpredictable as it’s been this year – did some type of miracle work in the garden. Here’s an excerpt from From Seed to Table with my husband’s secret for preparing the soil. Usually every other year, he applies mushroom manure and sand. He gauges this application by how “friable” the soil is. He can tell it’s friable and ready for the root growth of plants, if he clumps it in his palm and the soil falls apart. 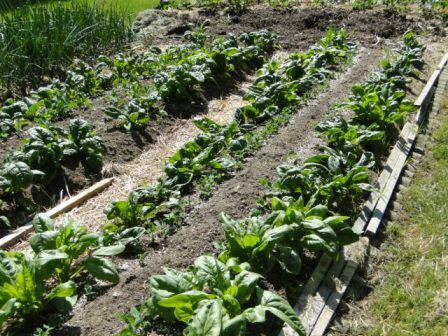 That means the soil is loose enough without applying the manure or sand. Also, be careful about putting the mushroom manure on seedlings such as peas. Our peas didn’t grow through this top dressing so well last year, and Robert believes manure may not have composted enough, so it burned the seedlings. If the manure is worked into the soil deep enough, this would not have been a problem. From Seed to Table is available on Amazon Kindle for $2.99. On June 13 and 14, you can download the book for FREE. 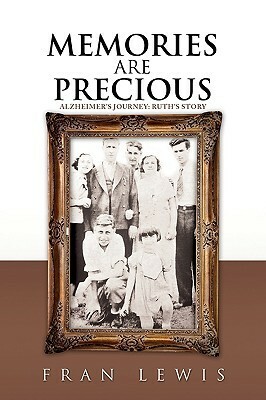 My oldest brother Marvin would have loved this book while he was still in the early stages of Alzheimer’s. He wanted to read something from the perspective of the patient rather than the caregiver. Fran Lewis provides both perspectives in this very personal and touching book. See my blog post about my brother’s journey. 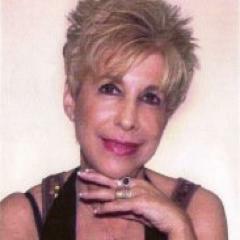 Hello – I received an email from fellow blogger Betsy Wild over at What’s Green With Betsy? She shared with me a very worthwhile project by her daughter, Amy Wild. Please visit her Kickstarter site to help fund her environmentally wise fashion project. “My daughter is a sustainable fashion designer. 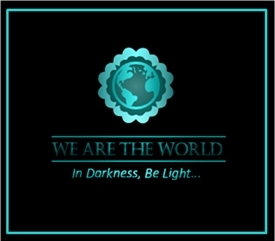 Her clothing line is called Where Clothes and her mission is to protect the environment and support an ethical industry. Her line helps renew some of the 90 million pounds of clothes that end up in landfills each year. The fashion industry is one of the world’s largest polluters, and uses the second largest amount of water compared with all industries. But as the climate changes, so too will trends. Where Clothes expects to lead others in distilling the concept of design to its creative element: to take what we already have and create something new. By basing all aspects of her line from her Vermont studio, Where Clothes also avoids outsourcing to other countries where unfair labor and dangerous working conditions are rampant. Her clothes are adorable, fun and flirty. They look and feel great on the body. She sews everything herself using vintage, antique, and recycled materials. The demand for her clothes is growing, so she launched a Kickstarter campaign to hire an assistant to help put the designs from a current lookbook collection into small, locally-based production. You can check out her video here: http://www.kickstarter.com/projects/396581135/where-clothes-lookbook-shoot. Thanks for sharing, Betsy. I’ve already made a donation and hope this post helps bring more attention to a very worthwhile project.